Planting Garlic: Pre-treatments and crop rotation. Do you grow garlic? A co-worker and I were discussing our plans to plant it this year and we got on the subject of soaking the cloves before putting them in the ground: yay or nay, and in what media? Soaking garlic is supposed to deter fungal infections and insect infestations, and presumably because the cloves are healthier, the subsequent plants will be as well (which translates as better yield and quality). Soaking garlic is standard procedure for many growers – is it something you do? It seems there isn’t a consensus about what to soak it in, however – or even how many steps you should take to accomplish the task. My co-worker just puts the cloves in rubbing alcohol for three or four minutes and then sows as usual, but I’ve read that some gardeners use a pre-treatment of either an overnight soak in plain H²O or a combination of liquid seaweed, baking soda and water, followed by the alcohol rinse. Alternatively, you can leave out the rubbing alcohol (or vodka or hydrogen peroxide or ?) and just go with the seaweed mix. Commercial growers appear to have their own brews, including guidelines for the optimum temperature of the soaking media. What is your go-to concoction? Or…you can do what I did last year and not soak your garlic at all. I didn’t have any problems, but would that have been a risk you would have taken? How seriously do you consider the source of your seed stock in determining if you soak the cloves or not? And then we started talking about rotating allium crops…she doesn’t, I do. Garlic growers, what are your thoughts? 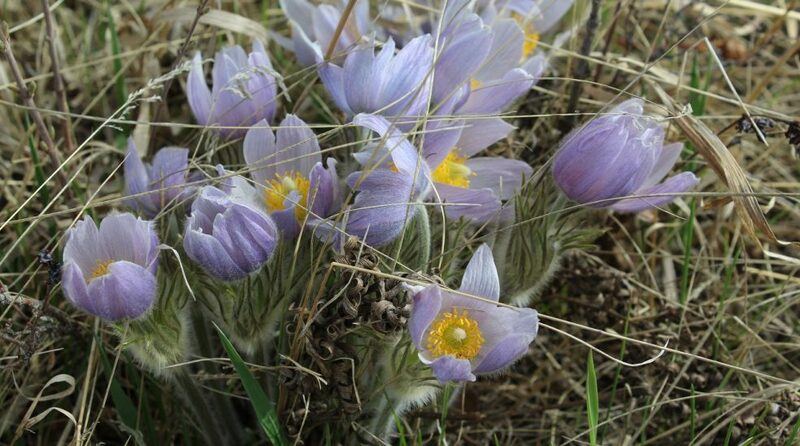 This entry was posted in Botany, Food, Gardening, Outdoors, Plant, Plant diseases, Plant pests, Vegetable and tagged Canada, crop rotation, Garlic, Garlic Bulb, Garlic Clove, Growing Garlic, Planting Garlic, Soaking Garlic, Sowing Garlic. Bookmark the permalink. ← Alberta snapshot: Larch and blue sky. Thanks for the interesting article! I’ve never heard of soaking garlic. This is my 4th year planting and I’ve always had good sized bulbs with no problems. I just assumed that garlic had its own safeguards against pests! This year I’ve planted Leningrad and Red Chesnok from Goat Creek Garlic and then I planted a few cloves from one of my own bulbs… and then I picked up a Russian Red from one of the Hutterite colonies and planted a few cloves from that. I do rotate my planting – trying to leave 4 years space between areas. This does not allow me to plant very much, however; I think it’s good for the soil to have a break from a crop. Crop rotation is definitely a tricky thing to accomplish in a small space, but I do agree that it’s a good idea – and I think science is on our side on that one. I’m still not convinced that it is necessary to soak garlic before planting – I’m pretty new to growing it, but the past couple of years I’ve been really pleased with my results without soaking. I think if you know and trust your seed stock, that helps immensely. Thanks for the post. This was my first time growing garlic. I didn’t see anything about soaking it, so I didn’t. We’ll see😄. As far as rotating crops, I think that’s tough to do in small gardens. I just to keep the soil well amended each spring and maybe change varieties. I haven’t soaked my garlic before, either, and I’ve never had any trouble so far, so I think we’re good to go. I think this may be something that is really important for commercial growers, in particular, even more so than for home gardeners. For my co-worker, it came down to tradition: her mother and grandmother always pre-treated their garlic, so she did as well. She said she would worry about insect pests if she didn’t. Regarding crop rotation, I’m with you – it’s extremely difficult to do in small space gardens! I like your idea of switching up varieties. Wish I read this first. We just shoved some cloves into the raised box. I wasn’t really looking to grow the garlic so much but to use it to deter flea beetles on my Chinese cabbage. It’s something I really wanted to find out about – and it seems the general consensus with the commenters here is that it is not necessary to soak before planting. I haven’t had any problems in previous years by avoiding the pre-treatment, so I’m not completely convinced that it is an integral step. Interesting, I’ve never heard of soaking garlic before planting! Mine just goes in as dry cloves and seems to do well enough. I wonder if the soaking would help. I might have to try it this year. I’ve decided I’m going to soak a small sample size in rubbing alcohol before planting and then plant the rest without the pre-treatment. I will mark the planting areas so I don’t mix them up when it comes time to harvest. I will compare at the end of the season and report back. We’ll see what happens! If you end up doing something like this as well, maybe we can compare our notes next year! These posts are really tempting me to grow garlic. I actually tried to buy bulbs earlier this week out on Pender to plant out there but THE shop didn’t carry any as it seems people order direct from Saltspring. One thing is for sure, once I get the garlic bulbs there is no shortage of vodka on the island to soak them in. LOL! Sounds like the beginning of a whole new style of garlic festival! So many things one can do to garlic. I have not planted garlic before but plan to this year. I think planting just the garlic is a good way to start and next year I can use water and then compare the difference. I agree…I think it would be interesting to test these ideas out and see what the results are. I mentioned it already to one other commenter, but if you do end up trying the water soak next year, please let me know how it goes. It would be neat to do a follow-up post on what everyone has come up with. I planted my garlic today and didn’t soak. I did get interrupted halfway through with a big downpour, so inadvertently about half of the bulbs were soaked before they went into the ground. Aren’t they such a great crop to grow? I love the greens and the scapes, too, they’re such a treat. What a rewarding plant! I am definitely going to plant a pre-treated sample this fall – the rest will go in without any soaking. I’m very curious what the results will be…. As one commentor stated, I, too, just “shove them in the ground”! We’ve been growing garlic for years now and love the results. I would be hard pressed to go back to “store bought”. 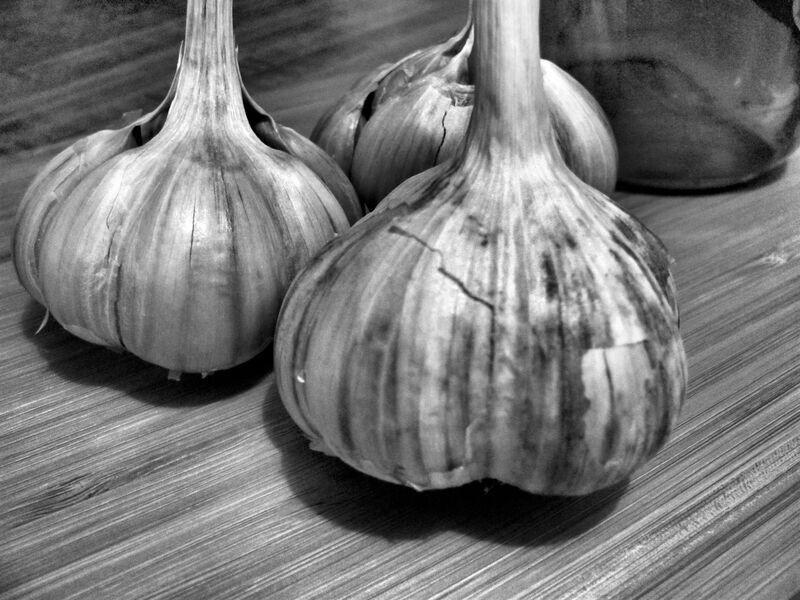 I so agree…the flavour of garlic you have grown yourself cannot be beat! And there are so many wonderful varieties to try…I keep changing it up every year and I’m really enjoying it. Very rewarding crop. I’ve never heard of soaking garlic before planting, and I listen and read all the advice available about gardening. I always used ‘proper’ garlic sold for growing not from the grocers, and I always rotate the crops. I’m not a grower but it’s a coincidence to read your garlic article because I’ve been using it to help get rid of the flu!